After Vinta Nanda, Sandhya Mridul and an anonymous crew member from the film Hum Saath – Saath Hain and Deepika Amin, now another actress has accused actor Alok Nath of harassing her. 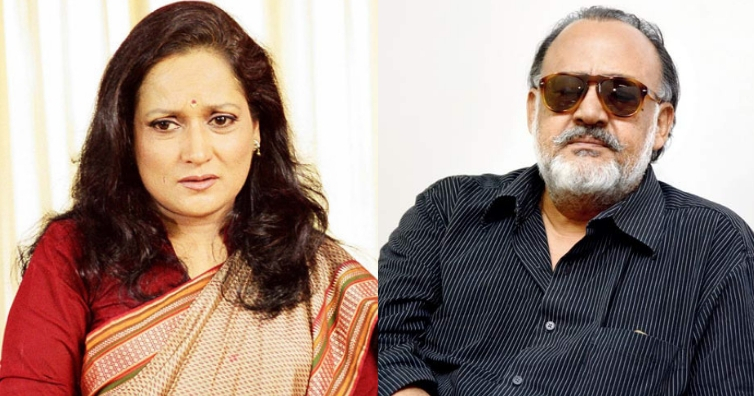 Yes, we are talking about Himani Shivpuri, who worked with Nath in films like “Hum Saath Saath Hai”, “Pardes”, “Kabhi Khushi Kabhie Gham” and TV shows like “Ghar Ek Sapnaa” has opens up about an unpleasant incident that happened with Alok Nath during her days in the ‘National School of Drama’ (NSD) where he was her senior. Narrating the incident, she said, “Once Alok Nath just walked into my room, under the influence of alcohol… I was scared. I came from a small town. He was speaking nonsense and trying to act smart. I had never seen a man in a drunken state. I told him ‘please go’. He refused to go. I cried and made noises. It was shocking. He was taken away later”. She also mentioned that she had forgotten the incident completely and now when she read about various allegations against him, it suddenly struck her that he had also harassed her years back. She said, “It’s been so many years. I had almost forgotten about the incident. He’s got a split personality. When he’s working in the day, he’s the ‘sanskaari‘ baba… but after 6 pm, he used to start drinking… people stayed away from him”. When asked why did she continue to work with him for so many years despite being aware of everything, the Hum Aapke Hain Koun actress explained, “It’s a very valid question. After some time, I had forgotten about the incident because a woman goes through so many shocks and setbacks already that it’s difficult to remember everything. Many years have passed, I stayed in Delhi for 10 years. When I joined the industry, he was a big man. I was a fresh actor. Rajshree was a homely place so one wasn’t scared there. So, that question never struck me. I knew that I was not supposed to see him after 6 pm or even if I am, I made sure I wasn’t alone. Those were the boundaries I set for myself to safeguard me. Not just him, we know so many people who abuse women like him. We keep quiet because one doesn’t want to lose on an opportunity because of a man”. The #MeToo movement gained momentum in India after Tanushree Dutta spoke up against Nana Patekar almost two weeks ago. Recently, a lot of such cases have come to the fore, with big names like Vikas Bahl, Kailash Kher, Rohit Roy, Rajat Kapoor being accused of harassement by women.